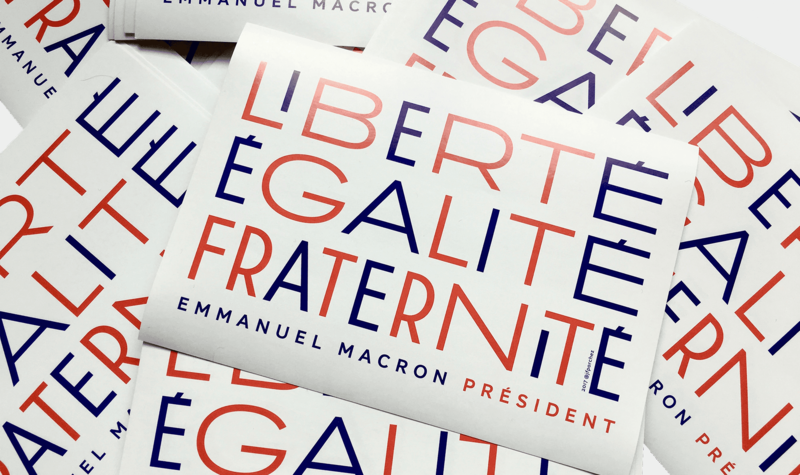 In early April 2017, Jean François Porchez was asked by Thibault Caizergues, creative director at En Marche to design a typographic project to support Emmanuel Macron. Égalité, fraternité, liberté is the national motto of France. In every school in France, this motto appear in front of schools everywhere on the country. As many of these primary schools in Paris have been built before the war, a lot of them feature Art-deco style of signs. This design pay an homage to this style. 1. 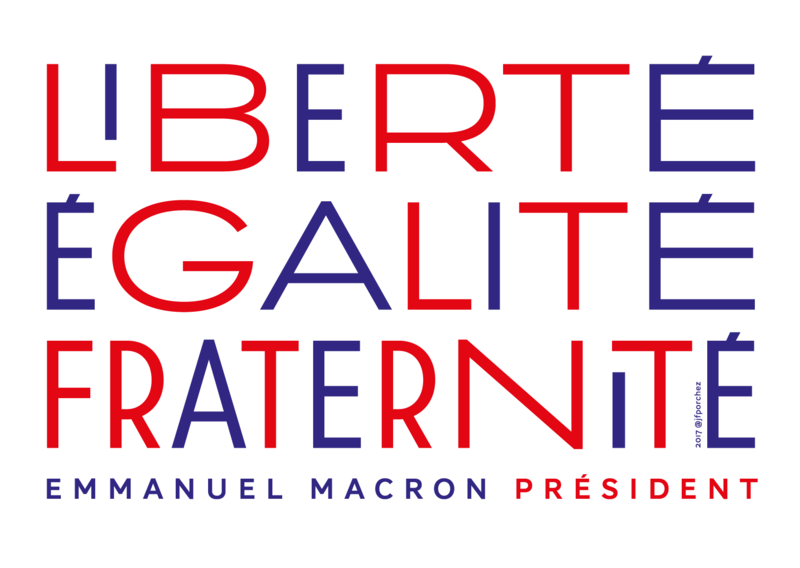 Égalité, fraternité, liberté — Emmanuel Macron président, type project designed by Jean François Porchez. Copyright Designed for Emmanuel Macron.